I will be announcing May giveaway winners tomorrow! 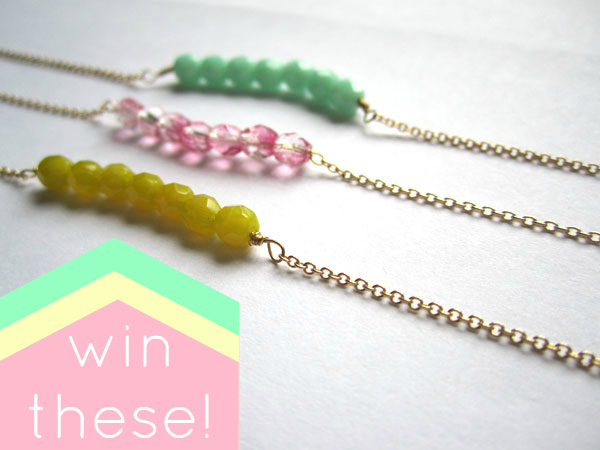 Today, Kimberlee is giving away these three layering bracelets, an amazingly generous $45 value! Each bracelet measures 7 inches with a lobster clasp. They are 14K gold filled chains. You can also use the code OHSWEETJOY20 in her ETSY shop for 20% off through the duration of the giveaway. Be a follower of Oh, Sweet Joy! blog via Google Friend Connect & leave a comment saying that you are. 3. 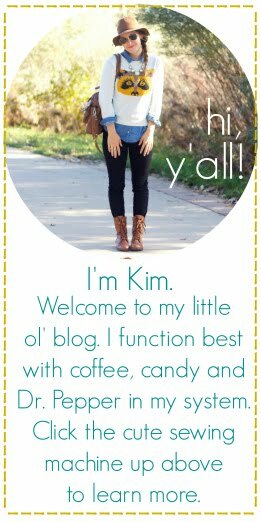 Pin ANY tutorial, recipe, (current) giveaway, or outfit post from Oh, Sweet Joy blog onto one of your Pinterest pinboards (one entry each, up to two). It must be pinned TODAY to count. 4. 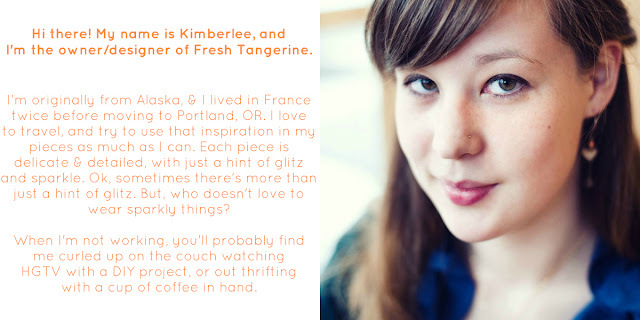 Let know a favorite item from Fresh Tangerine. I love her chandelier earrings!! Can't wait for tomorrow's post!!! I love the mint layering bracelets! I like the Mini Cluster Earrings in Silver. i really like the layering bracelets and the chevron curtain necklace! I love the silver stack bracelets!! I really like the "mini cluster earrings in metallic mint & gold" in her etsy shop. Hard to pick my favorite things! I really like the chandelier earrings but the lattice necklace is lovely too! the gold layering bracelets really are my fav from her etsy shop. dainty! and lovely! I follow Kimberlee on twitter too! My favorite item from her shop is her layering bracelets! Simple and colorful—just my style. 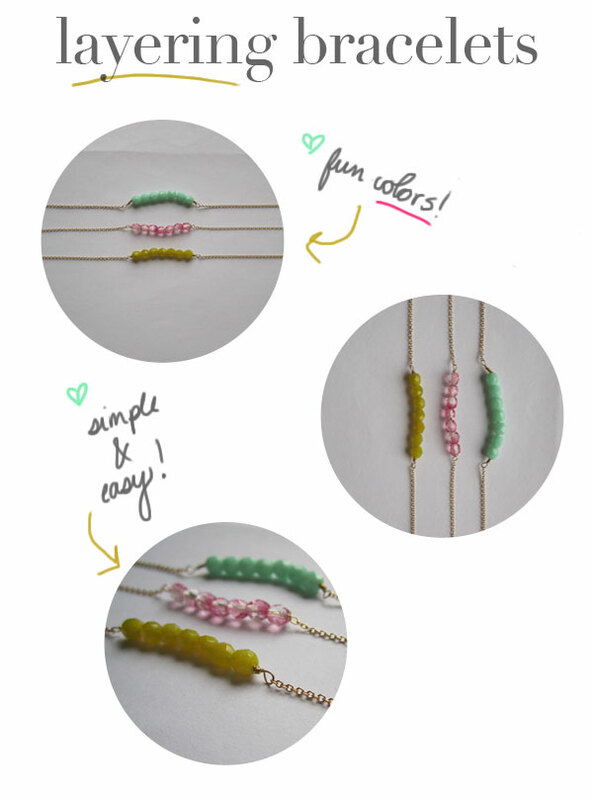 These would look so pretty as necklaces! I'm following Oh Sweet Joy via Twitter! I'm following Fresh Tangerine via Twitter! I pinned the tutorial for the oversized fold over clutch! I followed kimberlee on twitter! I love the chandelier earrings in light aqua! I am a GFC follower of Oh sweet joy! I follow kimberlee on twitter! It's so so hard to choose just one thing because everything is so beautiful! But one of my favorites is the cluster drop necklace in royal blue & gold. the layering gold bracelets are my fav. i am a google friend connect person... be forever lovely.